After many hours of preparation and review, the following is a complete copy of the proposed By-Laws for the San Jose Scottish Rite. The last approved revision was prepared in 1990 and the resulting changes made in the list of Officers together with a Post Office requirement to disclose no member costs for the Rite Word in our By-Laws made this Amendment necessary. We will vote for approval at the March Stated Meeting. The lodge of Perfection, herewith accepts the authority delegated to it by the other Bodies which make up the San Jose Scottish Rite to manage the financial affairs and properties of this Valley and to transact all business affairs of the same except for the permanent right of each Body to elect its officers, confer and communicate Degrees and to hold trials. The San Jose Valley Scottish Rite bears true faith and allegiance to the Supreme Council of the Ancient and Accepted Scottish Rite of Freemasonry for the Southern Jurisdiction of the United States of America and subscribes to its statutes, resolutions and edicts, and to the orders of the Sovereign Grand Commander, the Sovereign Grand Inspector General or Deputy for the Orient of California, and his Personal Representative. Stated meetings of the San Jose Valley Scottish Rite shall be held monthly at a time and place to be determined by the All Officers Council with the approval of the Personal Representative. The Presiding Officers of the four Bodies and/or the Personal Representative may call special meetings, provided that proper notice is given to all members at least ten days prior to the special meeting. Proper notice shall include the time and place of the special meeting and the nature of the business to be discussed. No other business than that given in the notice to members shall be discussed at that special meeting. The elected officers of the four Bodies shall be the Presiding Officer, and the first and second Assistant Presiding Officers, who shall carry the title as prescribed in the ceremony of installation. Each elected officer shall serve for a period of one year or until their successors shall have been duly elected and installed. In addition, an Almoner shall be elected and serve a one year term or until his successor shall have been duly elected and installed. In addition to the elected officers the presiding officer of each body may appoint with the approval of the Personal Representative such additional officers as may be desirable. The election of officers shall be held at the regular Stated Meeting held during the month of January each year. In addition to the above elected and appointed officers, the Secretary and Treasurer shall be appointed by the Sovereign Grand Inspector General or his Deputy of the Orient of California, each to serve all the duties in that capacity at his will and pleasure. Duties of Officers shall be as prescribed in the Ceremony of Installation and as written in the officers manual together with all other calls for services made by the presiding officer (or the Personal Representative) of the body to which the officer is assigned. There shall be an All Officers Council consisting of the elected officers and such other members as the Personal Representative, who shall act as chairman, may consider advisable from time to time. This council shall meet monthly except July and such other times as the chairman may find desirable. The All Officers Council shall coordinate and oversee activities of the Bodies including but not limited to confering degrees and other functions of the bodies; review and make suggestions for improving past functions and events as well as supervise and produce future functions and events. The presiding officers of the four bodies, together with the Personal Representative may appoint such committees as desirable for the proper management of the San Jose Rite. There shall be established each year a Finance Committee under the direction of the Lodge of Perfection. The committee will consist of eight members including the Personal Representative, the Assistant Personal Representative, the General Secretary, The General Treasurer who shall serve concurrently with their appointments, and the first assistant presiding officers of each Body who shall serve for a term of one year. All members of this committee shall be voting members. The fees for the Degrees of this Scottish Rite shall be set in June of each year in such amount, as the All Officers Council may recommend to the bodies for approval by a majority vote of the members There shall be no fee for affiliation. Annual dues for each member of this Scottish Rite shall be set in June of each year in such amount, as the All Officers Council may recommend to the bodies for approval by a majority vote of the members. Dues shall be payable in advance on or before the first day of January of each year. 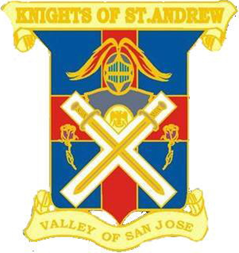 The San Jose Scottish Rite Valley of San Jose shall publish or cause to have published, a monthly communication for the benefit of its members and the San Jose Scottish Rite Foundation without cost to the members of the San Jose Scottish Rite. For purposes of this provision, the term “interest” shall include personal interest as an officer, member, stockholder, partner, manager, trustee or beneficiary of any concern; or having an immediate family member who holds such an interest in any concern. The term “concern” shall mean any corporation, association, trust, partnership, limited liability entity, firm, person or other entity other than the organization. 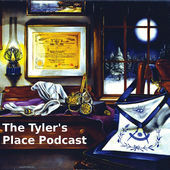 No officer of the Scottish Rite or affiliated entities shall be disqualified from holding any office in the Scottish Rite by reason of any interest in any concern. An officer of this organization shall not be disqualified from dealing, either as vendor, purchaser or otherwise, or contracting or entering into any other transaction with the organization or with any entity of which the organization is an affiliate. No transaction of this organization shall be voided by reason of the fact that any officer of this organization has an interest in the concern with which such transaction is entered into provided that (1) the interest of such officer is fully disclosed to the entity; (2) such transaction is duly approved by the members of this organization not so interested or connected as being in the best interest of the Scottish Rite; (3) payments to the interested officer or director are reasonable and do not exceed fair market value. No interested officer or director may vote or lobby on the matter or be counted in determining the existence of a quorum at the meeting at which such transaction may be authorized. The minutes of meetings at which such votes are taken shall record such disclosure, abstention, and rationale for approval. These by-laws may be added to, altered or amended by a resolution presented in writing at a Stated Meeting, then laid over until the next Stated Meeting or longer if so ordered, when, if approved by two thirds of the members present, it shall become effective, subject to the approval of the Sovereign Grand Inspector General or Deputy of the Supreme Council for the State of California and as otherwise provided by the Statutes of the Supreme Council. Adopted this _____ Day of ________ in the year 2011.